I recently tested the Addable mattress and I’ll get straight to the point – I was pleasantly surprised. The company has a weird name, but a very nice bed. Their main marketing crutch is the price point of this mattress and how happy it will make your wallet. 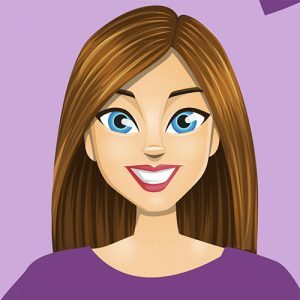 So let’s get into this Addable mattress review. 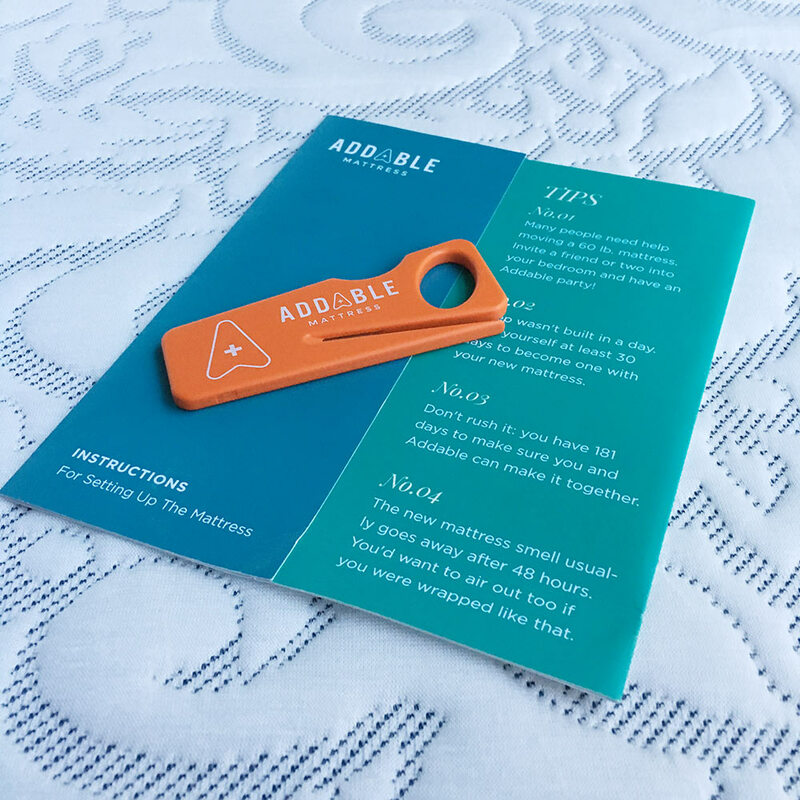 Addable is one of the new companies to the sudden bed-in-a-box boom that has come about over the past two years. Their founder has been in the mattress industry for quite some time, but this is a new venture. The website even has a nice little tool to help determine if this mattress is really for you – something you won’t see a lot in the online mattress world. I slept on the Addable for over three weeks to see just how comfortable this mattress is and what kind of benefits it offers. Overall, if you’re a price conscious consumer looking for a decent quality bed, then this might be right for you. The Addable is made up of three layers of foam. 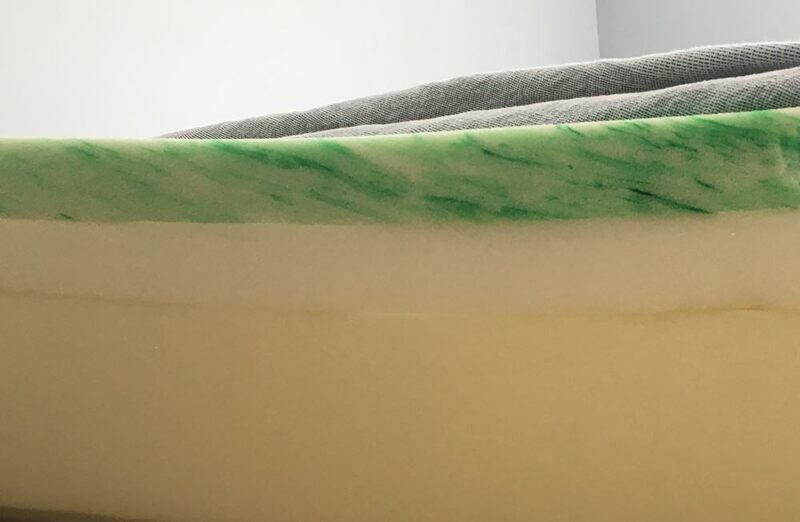 The first two layers are viscoelastic memory foam on top of a third layer of base foam. The top layer is a gel memory foam layer, meant to provide the comfort of memory foam without the deep sinking feeling of traditional memory foam. While this is what they advertise – I do think it holds pretty true. I did sink in a bit, but only because the bed was soft. The second layer is an “HD polyfoam” as the company calls it. This is the support layer that in my opinion was pretty soft, however it did hold true to it’s job of providing support. If I were a heavier person, say over 225 pounds, I might not really enjoy the support that this bed has to offer. What the layers of the Addable Mattress look like underneath the cover. The cover of the Addable mattress was soft to the touch and well made. It can’t easily be zipped off without having to lift the mattress up. This is a small negative in my book if you like to wash your mattress cover once in a while. Here is the Addable Mattress cutter to open the plastic encasing. 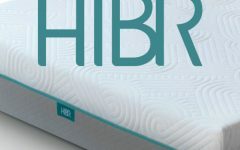 The first thing I noticed when doing my Addable mattress review, especially when compared to other mattresses sold online, was how soft it felt. I’m generally a side and stomach sleeper so I though this bed might hurt my back. After a few nights on the Addable, I really didn’t find the softness to be that bad. It still provided a good amount of support while feeling pretty soft. Generally, moving around at night while sleeping on a memory foam mattress can be difficult because of how you might “sink” into the bed. The sinkage in the Addable was quite substantial which made it a bit tough for me to move around at night. However this wasn’t exactly a deal breaker as I still could roll over and from side to side very easily. If you like a soft mattress, then this mattress might be for you. I can honestly say it was very comfortable, for being as soft as it was. I usually prefer a bit firmer mattress, so this wasn’t exactly my cup of tea. After several weeks of sleeping on the bed I did come to enjoy it. Most of the time a softer mattress leaves my back feeling sore but I didn’t notice that with the Addable. I believe this speaks a lot to it’s support. Sitting on the edge of this bed, I did notice quite a bit of sinkage. If you’re someone that sleeps close to the edge or sits on the edge in the mornings then you won’t find great support there. The motion transfer on the Addable mattress was overall pretty good – I did feel my partner moving a bit during the night but it could have been worse. The cost of the Addable mattress is very low. The queen comes in at under $500. However, if you’re looking for a California King, then you’ll want to look elsewhere as the Addable doesn’t offer this size mattress. The Addable boasts a 10 year warranty much like many other mattress companies. However, at this time of writing I couldn’t find much more information about the warranty on their website. While most companies are offering a 100 night guarantee, the Addable offers 181 nights to try out the mattress in your home. This is quite some time to determine if this mattress is right for you. Not a bad deal. Shipping is included with the price of the Addable. The mattress comes completely compressed and shipped right to your door. The queen weighs roughly 60 pounds. Read below for my overall marks on the Addable Mattress review. Check out The Addable Mattress website to make a purchase and learn more about this mattress.